Maths Pathway is a Learning and Teaching Model that is doubling the rate that students learn maths. 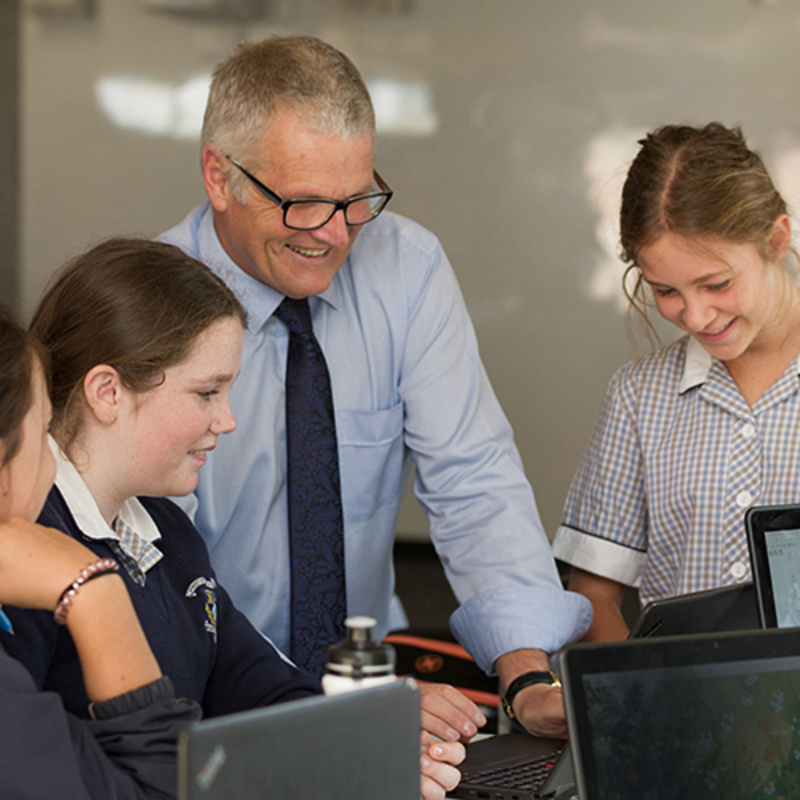 Maths Pathway is a holistic Learning and Teaching Model that leverages technology to enable teachers to target each student’s point of need, and allows them to focus on practices that have the greatest impact on student learning. The model is currently available for Year 5 – Year 10 students, and has proven success in a broad range of school contexts. The Maths Pathway Learning and Teaching Model is an approach to structuring, teaching and learning mathematics. Structuring: Each school term is typically structured to include four fortnightly learning cycles — each of which contains at least one whole class rich lesson — and a week-long rich project. Within each learning cycle different students are learning different mathematics, both individually, and in small teacher-led groups. Learning cycles conclude with a formative assessment that identifies which parts of the learning cycle’s objectives have been achieved, and which are yet to be achieved. Preparation for the next learning cycle forms an important bridge, and includes student-led reflection, teacher feedback and goal-setting, along with an update to the student’s learning profile based on data from the formative assessment. Teaching: Teachers have access to student data, which informs how they can support student learning, and provide targeted instruction. The data provides visibility of what students are learning, what they can work on next, and automatically groups students who are ready to learn new concepts together. Teachers can then, for example, use this data to run small group tasks targeted to the needs of a specific set of students. Learning: In addition to helping students develop their mathematical competencies, Maths Pathway strives to help students become good learners. The model is structured to provide opportunities for students to develop soft skills such as collaboration, self regulation, creative problem solving, the ability to work to deadlines, and organisation. Discourse between students gives them the opportunity to articulate their mathematical ideas, challenge the thinking and logic of peers, and understand mathematics from another person’s point-of-view. A focus on independent learning, as well as consistent reflection and goal setting sessions, reinforces positive learning practices. Small groups of students complete rich tasks with the teacher, while the rest of the class work independently. One-to-one teacher feedback and targeted interventions. Students access individualised content and complete work in their workbooks.